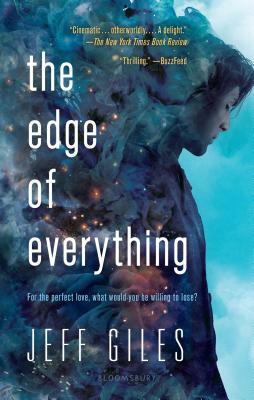 When their worlds collide, X and Zoe are pushed to the edge of everything in this much-buzzed-about tour de force fantasy from Entertainment Weekly veteran Jeff Giles. Jeff Giles grew up in Cohasset, Massachusetts. Most recently, he was the deputy managing editor of Entertainment Weekly, where he oversaw all coverage of movies and books, including the magazine's championing of YA fiction. Jeff has written for Rolling Stone and The New York Times Books Review. He also coauthored The Terrorist's Son, a nonfiction book that won an Alex Award from the American Library Association and has since been translated into more than a dozen languages. While reporting on the Lord of the Rings movies for Newsweek, Jeff was invited to be an extra in The Return of the King. He played a Rohan soldier, and--because he didn't have a beard or mustache--they glued yak hair to his face. Jeff lives with his family in Montana.